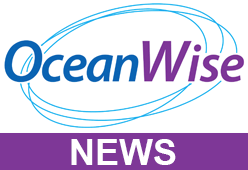 OceanWise > News > Uncategorised > New Recruits to the OceanWise team! OceanWise are pleased to welcome two new members of staff to its team. Richard Marlow has joined OceanWise as a Senior Information Systems Developer. Joining us from Fugro EMU, he will focus on further developing our GIS capabilities both internally and externally. Over time he will be extending our portfolio of Data Products to increase geographic coverage and allow us to deliver to more customers in Europe and farther afield. Richard remarked “I have been aware of the OceanWise team’s excellent work in the marine sector for a number of years and I’m excited to be joining them at this time. I’m looking forward to the challenges that lay ahead to help OceanWise further develop and enhance its products portfolio and to seek out new opportunities. George Wright joined us at the start of November as an Information Systems Apprentice. George will be developing his skills in Marine GIS and the use of IT across the marine sector as part of his learning programme. He stated “I have been welcomed by OceanWise with open arms. The staff here are all very open minded and easy to speak to and despite being here for only a short time so far, I already feel very much at home and settled in. What’s important to me as an apprentice, is that I feel I have an important role and that I am an integral part of the company. I’m very excited to be a part of this young, prosperous and ever-developing company that has, as a learner and future employee, so much to offer me”. Caroline Levey, OceanWise Operations Director, summed up by saying “We are very excited to be expanding our team; Richard brings a huge amount of knowledge and experience which we can utilise to develop our products and by taking on George as an Apprentice, we are creating a great opportunity to encourage the next generation of Marine Information specialists”.